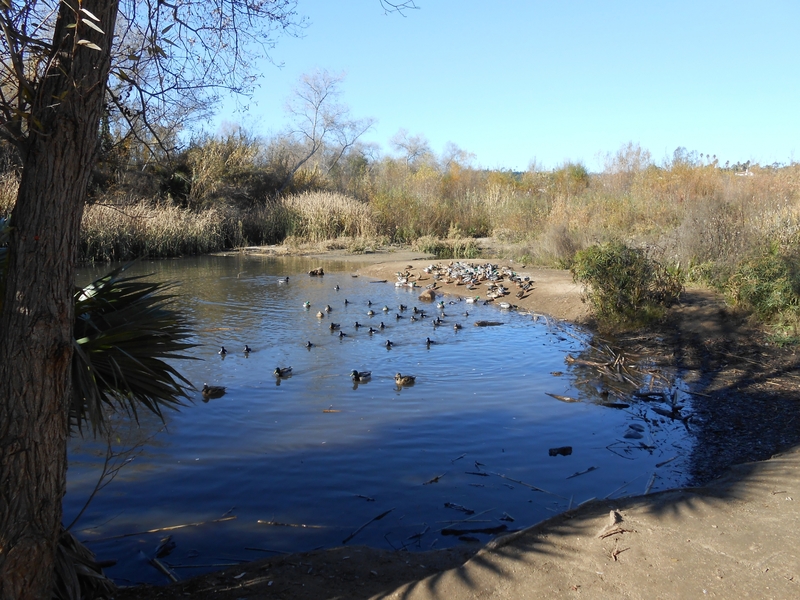 Woodland, riparian, and open-area habitats will usually get us a nice list of resident birds. From I-15 in Escondido, exit east on Via Rancho Parkway (which becomes Bear Valley Parkway) and drive about 1 mile to the Park Road entrance on your left – at the fire station. Proceed on Park Road about ¾ mile to the Amphitheater parking lot on the right. Restrooms at several locations along the walk.